You can cut proportional half rectangles that are up to 9" finished. 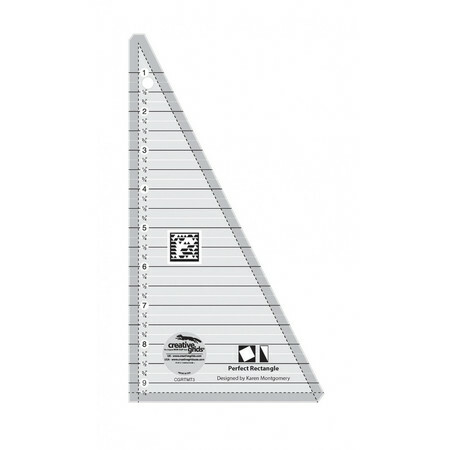 Create perfectly pieced rectangles or use with Triangle in a Square ruler #CGRTMT2 to make perfect triangle in square blocks. Equipped with Creative Grid's exclusive grip, this ruler slides easily on fabric yet stays in place when pressure is applied. Use the included instructions or scan the QR code to view a video demonstration. Made in the USA. Designed by Karen Montgomery.